Beautiful & CLEAN single story in gated community w/designer finishes throughout. 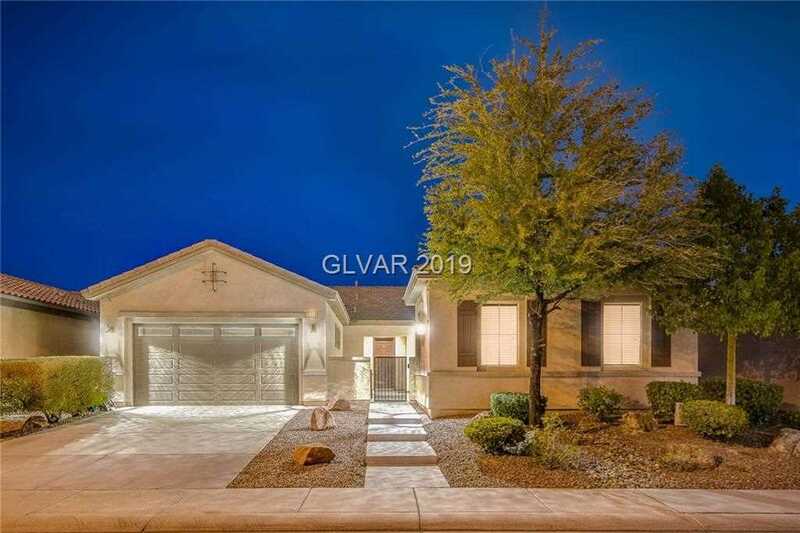 Bright open kitchen w/full granite back splash, great room, 3 bedrooms & private casita. Tile in main living spaces/laundry room, carpeted or vinyl bedrooms. Master bedroom w/his & hers walk-in closets, soaking tub, & oversized shower. Wrap around covered patio leads to secluded, pool sized backyard w/manicured lawn/landscape. THIS is what you've been looking for! SchoolsClick map icons below to view information for schools near 3944 Eiderdown Place North Las Vegas, NV 89084. Listing provided courtesy of Keller Williams VIP.